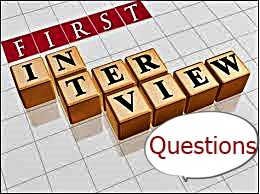 Dubai interviewers ask candidates many questions, are common and figure in most interviews conducted, but candidates still mismanage while answering them, killing their chances of getting a job. If only candidates could better prepare themselves for some set standard interview questions, their chances to impress the potential employer would be greater, and that could take them to the next stage of interview and, finally, land them that job. Over half the candidates interviewed by recruiters come unprepared, say experts. Interview with most recruiters confirm this opinion. According to experts, this seems to be the one question that most candidates come unprepared to answer. It may possibly be because of lack of proper preparation regarding the role, the company’s culture and how the candidate fits into it. What is the one thing that you’d change about your last job? It’s a bait. Don’t bite it, however tempting it may be to criticize your supervisor or nagging colleagues. If there ever is a time or forum for that kind of talk, this is definitely not it. Don’t grumble about the corporate culture, and don’t even try analyzing the management’s vision for growth (or lack of it). Anything you say on those lines will give the interviewee a future window into what you might say at your next job interview about their company a few years down the line. You are in your first interview, you really don’t have a clear sense of what the job entails. At this point, defer by saying, “I don’t have enough information about the job yet; what are your expectations in the first 90 days? 6 months?” Another approach is to ask if the employer has a range in mind for the position. As a last resort, you may decide to give the employer a broad range based on past salary, bonuses, and other benefits. A good strategy will be to answer this question by talking about how you’re looking for a good job-fit – and not necessarily the money. Be sure to mention that money is important, but what appeals to you is the job-fit. Let the hiring manager make an offer in terms of salary, compare it with your current/most recent salary, and then negotiate, if it is below your expectations. A surprising number of candidates handle nervously while answering this question, says panel of experts. You must understand that one of the primary reasons an interviewer asks this question is because either s/he has not had the time to go through your CV in detail, or your resume isn’t clear about it. Either way, it is a lead-in question that is supposed to make the candidate comfortable – after all, you do your job day-in and day-out, and it shouldn’t be difficult listing down your daily responsibilities, or should it? It’s an expression to say ‘I’m a perfectionist’ in response to that question – so don’t say it, not even if you believe you’re one. Be genuine while answering this particular question (be genuine otherwise too), but don’t over-elaborate here – you don’t want to give the interviewer the impression that they’ll be hiring a liability. More than anything else, however, be confident in whatever you say and do during the interview. Dress sharp and be forthright. Keep these pointers in your mind and next time you appear for a job interview, face it very confidence.